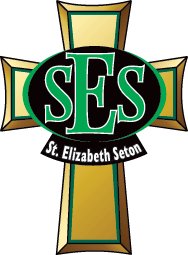 St. Elizabeth Seton School is a Pre-Kindergarten to Grade 5 publicly funded school located in Red Deer, Alberta, proudly welcoming children of all faiths desiring a Catholic education. With a Gospel view of life, students are called to grow spiritually, academically, socially, culturally and physically. Our Catholic faith is nurtured and experienced in all classes, celebrations, and prayer. To find out why our school is right for you, please visit us. "God, let them see You in me!"